It is available as net weigher for free flow products having uniform density. 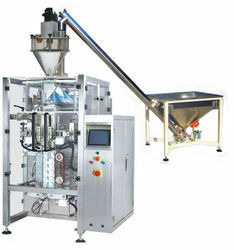 It is also available as gross weigher with load cell and micro-processor logic for products having non-uniform density. 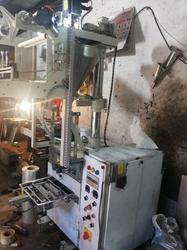 From our wide consignment, we are offering to our patrons an optimum class variety of Powder Packaging Machine. A vertical form fill and seal machine for producing 3/4 side sealed sachets handling all types of free flowing powders or granules. Single reel film laminate stock reel feed. Product dosing by suitable feeding system. Max, Reel dia 400mm on 76m/m core 1 / dai.